Hair loss can happen at any age for any number of reasons, though no matter the conditions, it can be embarrassing to deal with. Both men and women have unique and strong connections between their self image and how their hair looks. Thinning hair and baldness can be a painfully embarrassing topic to raise with a doctor, which can lead to many people not taking the best first step towards treating it. Social stigma regarding how important one’s hair is to their general value as a person can make people feel ashamed for admitting to having a problem with thinning hair, which leads to them trying to cover up the issue instead of seeking proper treatment for hair loss. 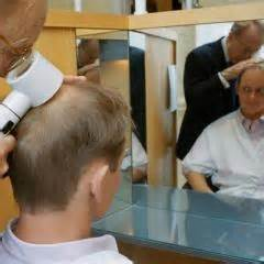 Different categories for hair loss treatments. Depending on the exact cause of the hair loss, the treatment can be as simple as stopping a medication and waiting, or as complex as surgery. A visit with your doctor or dermatologist is often the best source for determining the cause. Once you are better informed to what the underlying cause is, you can more accurately and effectively treat it. One of the leading issues behind hair loss is hormonal imbalance. In particular, an androgen imbalance can cause hair loss or thinning on the scalp in individuals with certain genetic markers. It can affect both men and women. Stress, dietary, and even lifestyle factors can also lead to hair loss. With the many possible causes, its best to find out the exact source before selecting a treatment. Treating hormonal hair loss can vary in approach. For women who loose hair after giving birth, the hormone levels tend to return to normal as the body recovers over the next two years following pregnancy. For men, it may require the right balance of hormone substituted or suppressants to help re-balance the body after natural declines in levels as they age or possible trauma to the testes. Stress hormones can also contribute to hair loss, which means relieving stress and adopting better stress management techniques can also help with hair loss without a need to add medication for it. Medications used in hair loss treatment. For those who require medication to help correct hair loss, the specific type used will either be one that affects hormone levels directly or indirectly. For example, thyroid medication used to treat low thyroid levels can help improve hair thinning that is caused by hypothyroidism. It is a condition in which the thyroid glands are not producing enough regulatory hormones and can lead to an imbalance. As androgen is the culprit in most cases of hair loss, androgen receptors are the target in most oral medication used to treat hair loss. Spironolactone is a type of diuretic, or water pill, used mainly for high blood pressure and swelling that also has an effect on androgen, by both slowing it and blocking receptors for it. Cimetidine, also known more popular as Tagamet, is used primarily as an ulcer treatment. However it has been shown to be a very effective anti-androgen that can block harmful hormones from affecting the hair follicle. Asides from treating gastrointestinal issues, in high doses, clinical trials with women have shown it can help reverse hair loss caused by increased androgens. It is one treatment in particular not recommended for men because it can have adverse affects for them such as sexual dysfunction and encourage feminizing traits to appears, such as increased breast tissue. Finasteride, also commonly known as Propecia or Proscar, is the first pill accepted by the FDA to treat hair loss. Originally intended only for men, more recent studies have shown that it can also help some women as well. Cyproterone Acetate is one medication that can be used as a hair loss treatment for women, but it is usually left as a last possible remedy. It can have serious side effects and its primary use is actually a treatment for over aggressive sexual behavior in men. In some countries, mainly in Europe but not in the U.S, there are combination pills that combine birth control and cyproterone acetate to treat hair loss in women. However, it is one medication in particular that can take up to a year before a reverse in androgenic hair loss is seen and has to be continuously taken to see consistent results. Topical hair treatment for thinning and baldness in women. Some treatments for hair loss are administered topically with no internal side effects that many medications have the potential for. Ketoconazole, commonly known as Nizorol by prescription and Nizorol AD over the counter, is a type of anti-fungal that can be used to treat ringworm, dandruff, and many other topical fungal-related conditions. It can curb the affects of androgen on hair follicles and help reduce hair loss. Though for maximum effectiveness, the 2% prescription formula is recommended for hair loss, versus the over the counter 1% formulas. One of the best known topical treatments for hair loss and baldness is commonly called Rogaine, which is the medication minoxidil. It began as an oral dosage medication for treating high blood pressure that had the noticeable side affect of excessive hair growth in test subjects. When converted to a topical solution, it was found that the hair growth was persistent without any side effects associated to internal delivery. The FDA approved strengths of the solutions available are 2% for women and 5% for men. However while the FDA does not recognize the higher strength as being suitable for women, studies are being conducted to test the difference, and are having positive results to show that they can potentially benefit from the same strength solution as men. Alternatives to medications for baldness and hair loss. Aside from medicated treatments, there are other alternatives for those who do no like to take prescription or prescription-like medications. Sometimes, hair loss is the result of an imbalance in vitamin levels. Certain types of dieting can result in protein and other deficiencies that can affect many systems in the body, including hair growth. A good baseline of blood work from your doctor to check for possible vitamin and mineral abnormalities can help you determine what dietary changes may be needed. Everything in the body is a balancing act, when one component is lacking or over abundant, it can disturb many processes in the body. Low protein levels combined with excessive amounts of vitamin A can impede hair production and negatively impact hair growth in general. Sometimes, despite having good health and eating habits, a person may experience hair loss due to style or environmental influences. Keeping a lot of tension on your hair can result in baldness or thinning hair from actual damage to the follicles. It’s not healthy to keep your hair bound up tightly all the time. Occasional or short periods during the day can be fine, but should be followed with adequate time without tension. Braiding that knits hair close the scalp is one popular example of hair styling that often leads to hair loss overtime when done continuously. If you have to keep your hair pulled back for work, be sure it does not put a lot of pressure on the scalp and to let it down when you are no longer required to keep it back. A good pony tail can still keep hair out of the face without being headache-inducing or placing added stress on the scalp. While this is something that affects women more than men, it is still important for men who keep long hair to remember as well. Seasons can also affect hair growth and loss. The body cycles with the seasons to some degree, not entirely unlike how animals will cycle. There are times of the year when hair will thicken and thin depending on the climate. For the spring and summer months, you tend to see sometimes lighter and potentially thinner hair due to the hot weather. There is usually little treatment needed, outside of proper diet. The same can be said for winter and fall hair treatment. During colder months, hair is more likely to thicken than thin due to to colder weather extremes. It is in fact, the excess of seasonal hair shedding between extremes that people can mistake for genuine hair loss. For seasonal hair fluctuations, there is nothing to be done outside of keeping your diet balanced, general health in order, and keeping up with regular grooming. Grooming habits that can help improve healthy hair. You should brush your hair each day to help shed hair that is ready to to fall, though over brushing can result in a thinned out appearance. Typical recommendations for hair brushing is to follow a schedule of morning and evening sessions. Using a gentle bristle such as boar bristles and also washing it regularly can contribute to the health of your hair. At times, too much oil can negatively impact the follicles that have an oil gland situated near the surface. Cleaning your hair with gentle shampoos on a normal cycle and grooming tangles out can not only help keep it healthy, slow strokes of a brush can be stimulating to your scalp. Through regular brushing and direct massage, blood flow can be encouraged for the follicles, which can be beneficial to hair growth as well. Can shampoos really help thinning hair? Hair Cloning 101 – Miracle cure for baldness or nothing but a pipe dream? Interesting facts about hair transplant cost around the United States. Is there a hair loss cure? 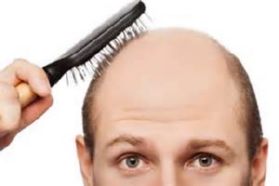 What causes hair loss in men? Breaking down some of the most common culprits below!